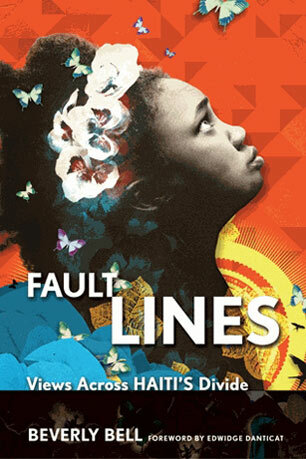 Four years ago, Marguerite Berthold was standing in her yard in Port-au-Prince when the earth began to shake. She ran into her house and went up to her porch. Her house collapsed but the porch remained standing and she survived. She spent the next two days searching for her son and fervently praying. Eventually she found him alive but with two broken legs. On Sunday, Berthold and her son, Wongaton Villace, now 15, attended a special church service in Mattapan focused on remembering those who died and offering thanks for those who survived. Four years after a 7.0-magnitude earthquake devastated Haiti, left roughly 230,000 dead, hundreds of thousands more injured, and more than a million homeless, about 50 people — many of whom were in Haiti on Jan. 12, 2010 — gathered at First Christian Church Source of Grace on Blue Hill Avenue on Sunday morning. “A lot of our family fell,” said the Rev. Jean Jeune as he began the 2½-hour service. “We have a lot of suffering in our soul, in our spirit, in our heart,” he said in remarks that were translated into English for a reporter who attended. The congregation, packed into two rooms on the second floor of an office building, later joined their voices in a song proclaiming their faithfulness. Backed by keyboard, an electric bass guitar, drums, and an accordion, many of the congregants closed their eyes and raised their hands above their head. Some cried. “Four years ago, if it wasn’t for God, a lot of us would not be here,” Jeune said before another song began. 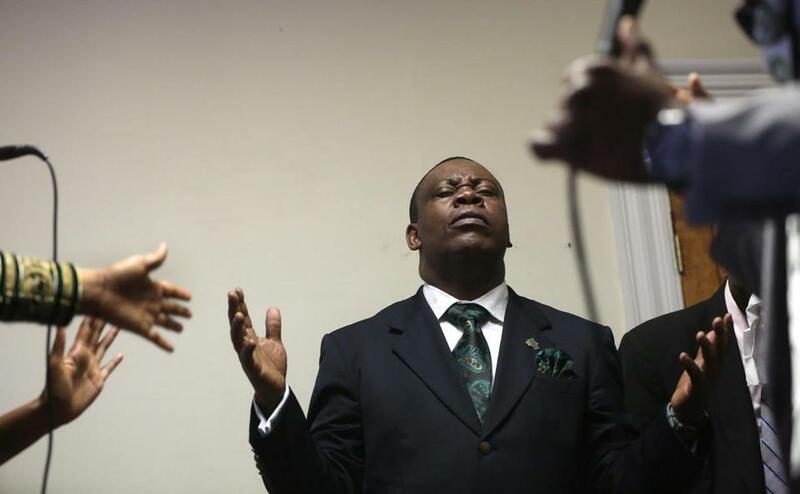 He encouraged celebration of the blessings that had been bestowed but repeatedly recognized the struggle many of his congregants had endured since 2010. A scientific analysis has come close to concluding beyond all doubt what the United Nations has long strenuously and heartlessly denied, namely that UN peacekeepers were responsible for importing cholera to earthquake-torn Haiti. 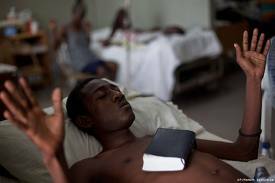 The revelations must finally awaken the world body to its moral responsibility to aid families of the more than 8,000 Haitians killed by the man-made epidemic. After the devastating 2010 quake killed more than 150,000 people and brought the island nation to its knees, the UN upped its presence to answer crying needs. 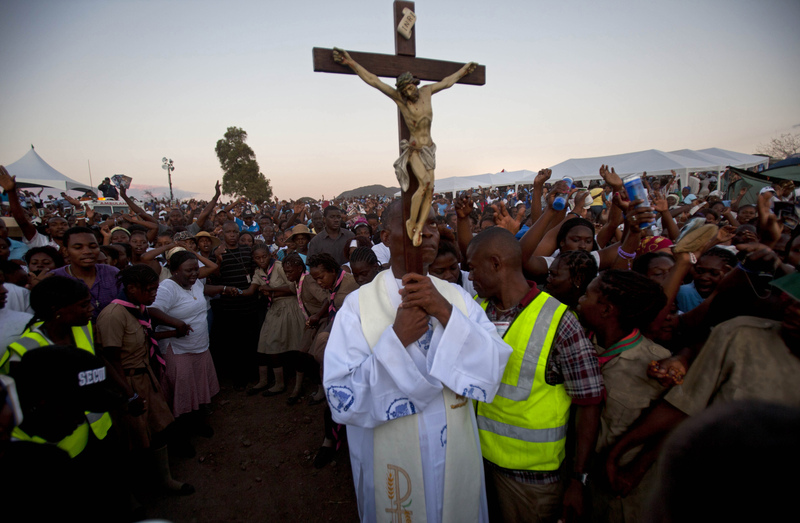 This was a humanitarian mission, one for which Haitians remain deeply grateful. But it soon became clear that cholera, the terrible bacterial illness that annually kills 100,000 worldwide, had appeared in the country and was spreading rapidly. 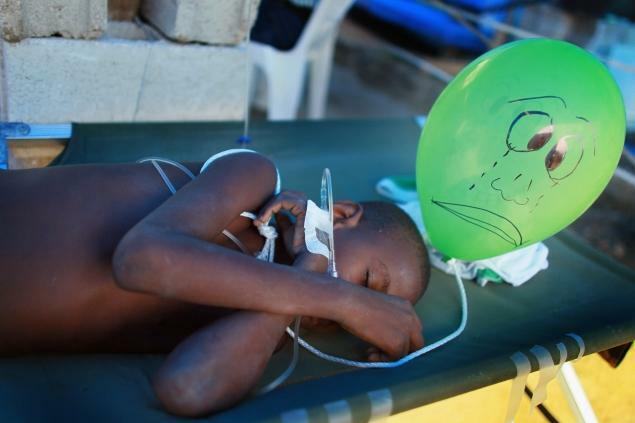 Despite the fact that, for over a century, there had been no reported cases in Haiti, men, women and children were suddenly dying of dehydration and diarrhea, hallmarks of the infection. The ailment soon spread to towns across the countryside. It turned out that a group of UN peacekeepers came from Nepal, where cholera is common. Powerful anecdotal evidence tracked the outbreak back to their camp, from which sewage had leaked into a river. 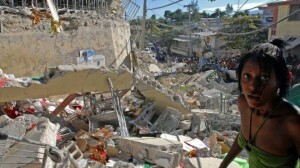 As Haitian deaths mounted, so did the accusations. The UN hid behind a characteristic wall of diplomatic mumbo jumbo, insisting that its people were faultless — and that, in any case, they had legal immunity from prosecution. UN brass, all the way up to Secretary General Ban Ki-moon, sent a supposedly independent panel to investigate; two years ago, the group concluded that a link between cholera and the peacekeepers could not be definitively established. Those very same experts, no longer on the UN payroll, have now changed their tune. Haiti has suffered enough. The United Nations has stonewalled enough. It is past time for the world body to acknowledge its role in creating this disaster upon a disaster — and begin paying victims’ families the compensation they are due. Port-au-Prince- The gleaming white hospital appears out of nowhere in the bustle of this impoverished city in the Central Plateau of Haiti. It seems even more out of place when you consider what’s inside: 300 beds — more than All Children’s Hospital in St. Petersburg. Six operating rooms. A neonatal intensive care unit. A CT scanner, the only one available to the public in Haiti. Most important, patients. More than 10,000 have seen clinicians since the hospital opened this spring. 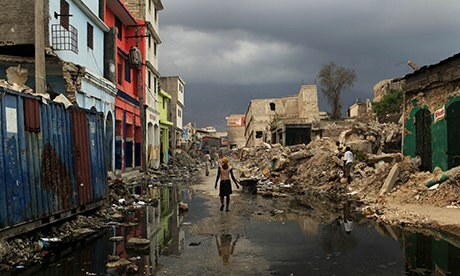 It’s one of the few visible signs of progress since the 2010 earthquake leveled Port-au-Prince. Against this disappointing effort, University Hospital stands out as a testament to how much can be accomplished in Haiti. It can teach us how to achieve rebuilding and development with effective aid that endures, and better deliver on the generosity of the American people. The popular narrative would tell you the recovery fell short because Haiti is difficult, unstable, dangerous and corrupt. Just a few days after the quake, New York Times columnist David Brooks blamed Haiti’s trouble on “progress-resistant cultural influences.” It’s a facile explanation of a complex place, but a lot of people found it convincing. My experience has led me to believe something else. I lived in Port-au-Prince for nine months and now work in Boston at Partners in Health, the global health nonprofit that built L’hopital Universitaire de Mirebalais under the guidance of Brooksville native Dr. Paul Farmer. In my view, the problem lay not with the Haitians but the aid industry that came to their rescue. PORT-AU-PRINCE, Haiti (AP) — A new report on American aid to Haiti in the wake of that country’s devastating earthquake finds much of the money went to U.S.-based companies and organizations. The Center for Economic and Policy Research analyzed the $1.15 billion pledged after the January 2010 quake and found that the ‘‘vast majority’’ of the money it could follow went straight to U.S. companies or organizations, more than half in the Washington area alone. Just 1 percent went directly to Haitian companies. The report’s authors said that a lack of transparency makes it hard to track all the money. USAID did not respond to requests to comment on the report Friday. The group has been a critic of U.S. foreign policy in the past, accusing the U.S. of a top-down approach to aid that does little to alleviate poverty in impoverished Haiti. The report also finds that the biggest recipient of U.S. aid after the earthquake was Chemonics International Inc., a for-profit international development company based in Washington, D.C., that has more than 4,800 employees. Aside from the World Bank and United Nations, Chemonics is the single largest recipient of USAID funds worldwide, having received more than $680 million in fiscal year 2012 alone. In Haiti, Chemonics has received more than the next three largest recipients since 2010, a total of $196 million, or 17 percent of the total amount. 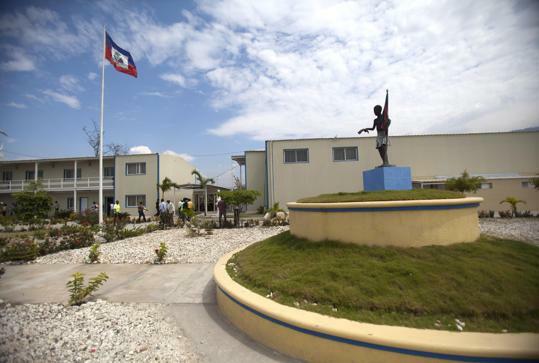 In Haiti, Chemonics’ mandate has involved setting up a temporary structure for Parliament, renovation of public plazas and repair of the country’s main courthouse, as well as organizing televised debates for the 2011 presidential election. Typically, major players such as Chemonics subcontract project work to smaller firms, some of them of them local. 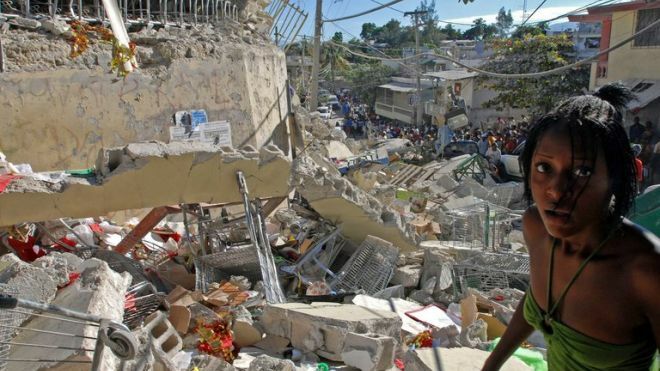 USAID has awarded $27.8 million of the $1.15 billion to Haitian and Haitian-American firms since the quake, according to the agency’s website. 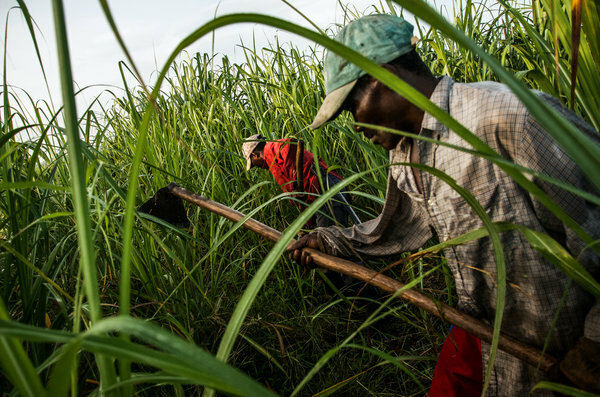 The obstacles blocking Haitian businesses from the contracts are many. They’re often not competitive because they may not be able to get the financing they need from local banks. Smaller firms also lack the resources to prepare costly, time-consuming applications, nor do they have the big companies’ track records in other parts of the world or the kinds of connections that help open the right doors. 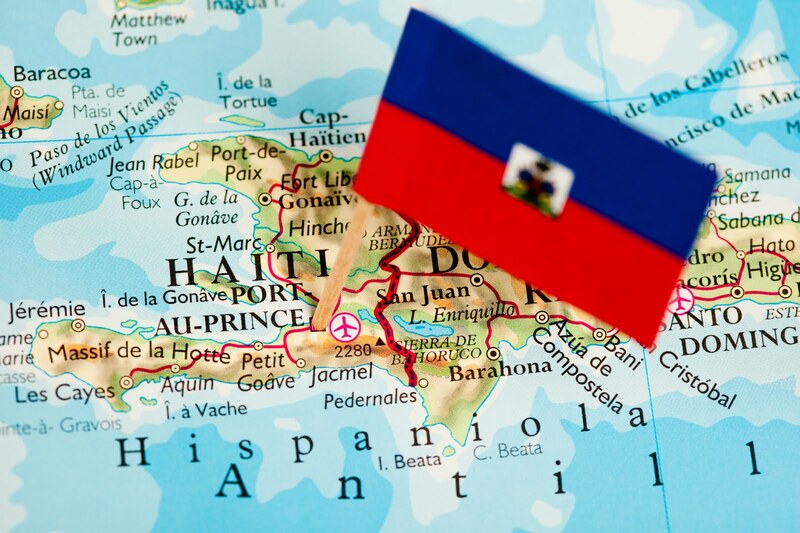 The report said subcontract information should be made available and called for increasing direct contracts for Haitian entities.